Be the first to share your favorite memory, photo or story of Myron. This memorial page is dedicated for family, friends and future generations to celebrate the life of their loved one. 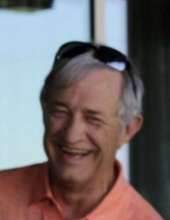 Myron Don Castleberry of Stillwater, OK boarded the Angel Train of souls headed for heaven on Thursday, April 4, 2019 in Kansas City, MO. He was 69 years old. Funeral services have been entrusted to the care of Dighton-Marler Funeral Home of Stillwater, Oklahoma. He leaves his wife of 48 years, Mary (Chaffin) Castleberry; his daughter, Shelly (Castleberry) Ray, and her husband, Wesley; his son, Justin Castleberry, and his wife, Lindsay; his parents, Solomon and Twilla Castleberry; his brother, Mel Castleberry, and his wife, Jennifer; his grandchildren, Colby, Connor, Colton, Carter, Case, and Cora; many nieces and nephews; and an abundance of close friends. Myron was born and raised in Oklahoma. He graduated from Midwest City High School in 1967. Following graduation, Myron attended OSU-OKC and OSU-Stillwater. In 1969 Myron graduated with an associate degree in Computer Science from OSU-OKC and went on to earn his Bachelor’s degree in computers from Central State University. Myron met his wife, Mary, on a blind date while in college and they were married in 1970. In August of 1970 Myron began working for Fleming Foods in data processing. He worked at Fleming for 31 years. He not only took pride in his work, but he truly cherished the friends he made at the company. Following his time at Fleming, Myron worked at HAC, Inc. until his retirement in 2016. Myron had a true passion for Oklahoma State University. For many years every weekend in the fall was dedicated to watching the Cowboys play football. Upon his retirement, Myron and Mary moved to Stillwater. Myron enjoyed living on the OSU golf course and attending multiple sporting events. Myron was a long time Alumni Association member and OSU Posse Club member. He also enjoyed golf, which he never mastered but he didn’t care, corvettes, boats, and anything else with a fast motor. He met many lifelong friends he shared these passions with. Myron’s true love was spending time with his kids and grandkids. Following a private family funeral and burial in Stillwater, all friends and family who knew and loved Myron are invited to join us in Edmond for a celebration of Myron’s life on Wednesday, April 10th, at 3:00pm at Matthew’s Funeral Home, 601 S. Kelly Ave. In lieu of flowers, the Castleberry family requests donations in memory of Myron be made to the Kansas City NorthCare Hospice House, 1500 Meadow Lake Pkwy Ste. 200, Kansas City, MO 64114-9937, to support the staff in extending to others the care and compassion that was shown to Myron and his family. To send flowers or a remembrance gift to the family of Myron Don Castleberry, please visit our Tribute Store. "Email Address" would like to share the life celebration of Myron Don Castleberry. Click on the "link" to go to share a favorite memory or leave a condolence message for the family.